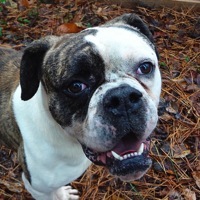 - Kansas American Bulldog Rescue - ADOPTIONS - Rescue Me! Kimber is friendly, but is protective of her puppy, Timber. Kimber is learning how to sit for treats.